Here are the dates and descriptions of my internet radio programs so you’ll know when to tune in! A BIG FURRY thank you to Chris Graham, our own Story Reading Ape, who allowed me to share this post on his blog today. Reblogged from The Story Reading Ape Blog. CLICK THROUGH to the ORIGINAL POST and then shoot me a holler! Wednesday, November 16th, 8am EST ~ Close Your Eyes and Find Your Attitude of Gratitude. What would happen if our reasons for gratitude are connected to what we see with our eyes? There is something to be said remembering the its less about what you see and more about what you are feeling! Ah, the founders of Team Gratitude, are #1 Best Selling Author Annette Rochelle Aben http://www.annetterochelleaben.wordpress.com and award-winning artist, David A. Martinka http://www.redbellymusic.com & http://www.sunshadows.net and they are here for you, on The Perspectivepower Radio Network to help GUIDE you through the process of finding your Attitude of Gratitude. So, thank you for FOLLOWING and SHARING our podcasts from this link: http://www.blogtalkradio.com/perspectivepower. CONNECT with us on the Facebook Fan Page for the network: http://www.facebook.com/perspectivepower too and stay inspired everyday! FOLLOW the LINK below, to the LIVE show as well as to the resulting PODCAST! Wednesday, November 9th, 8am EST ~ The Quantum Factor of An Attitude of Gratitude. What on earth does an Attitude of Gratitude have in common with quantum physics? Is there a connection, subtle or palpable, between your gratitude and the energy of gratitude in others? 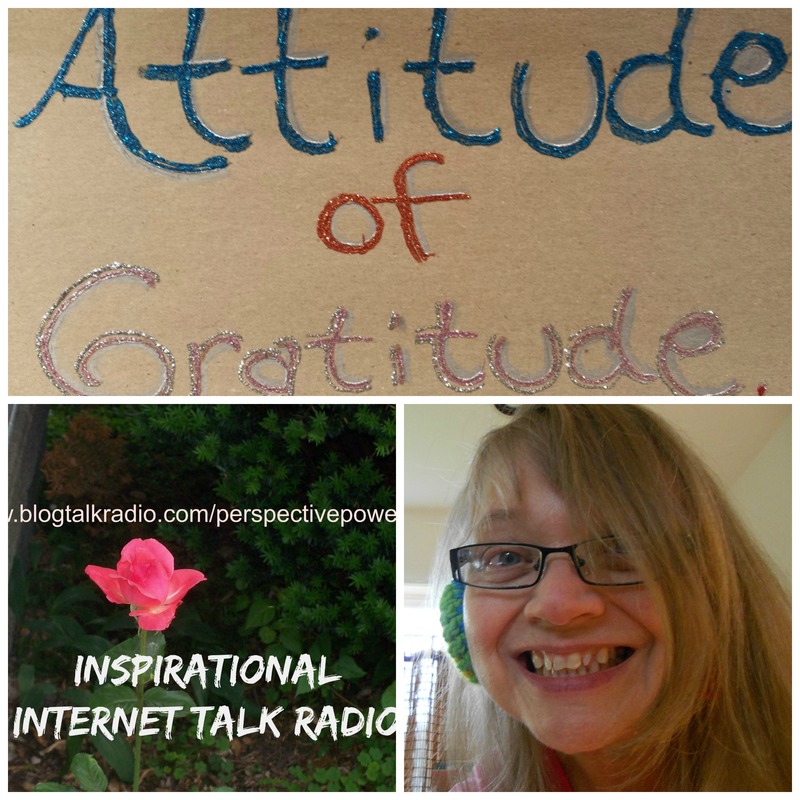 You can check out what Team Gratitude, Annette Rochelle Aben http://www.annetterochelleaben.wordpress.com and award-winning artist, David A. Martinka http://www.redbellymusic.com & http://www.sunshadows.net has to say on this topic! Right here on The Perspectivepower Radio Network we give ourselves a reason to put gratitude to work for the betterment of ALL life! So, with that in mind, thank you for FOLLOWING and SHARING http://www.blogtalkradio.com/perspectivepower Of course, we also have a Facebook Page http://www.facebook.com/perspectivepower where you are always welcome. FOLLOW the link below to the LIVE show, as well as to the resulting podcast!